Candidates waiting to get the latest news updates regarding SSC CGL tier 1 exam 2016 don’t need to wait anymore. As per the reports, the Staff Selection Commission Combined Graduate Level (CGL) Tier I exam 2017 is expected to start from June 19, 2017. Along with this it has been added that the SSC exam 2017 computer based examination (CBE) will start from March, 2017 to April 15, 2017. 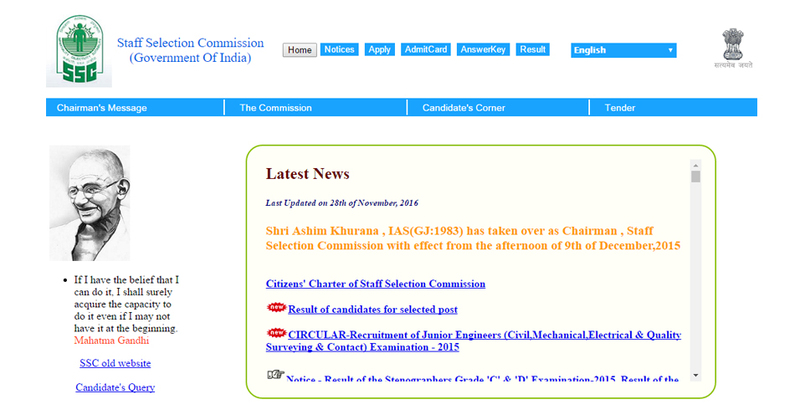 In relation to this SSC official website reported that the SSC CGL Tier II 2017 exam is expected to start from September 5 and will end on September 8, 2017. If we talk about the SSC 2017 admit cards for SSC CGL Tier II exam then it is expected to be released before November 20 on SSC official website i.e. www.ssc.nic.in. In 2017, around 15 lakh candidates are expected to enter the examination hall in 44 batches across 96 cities. Due to the huge number of candidates visiting the SSC official website it is expected that some of the candidate may face technical issues. So the candidates are advised to stay calm and refresh the website in a short interval of time.